Why is it that the media and other aggressive critics are so determined to work to undermine those who, on the surface anyway, seem to have their hearts and minds in the right place? In Israel, as he has demonstrated over many years, Benjamin Netanyahu wants more than anything else to keep Israel safe. Here in the United States, President Trump wants very much the same thing for the U.S. He wants strong and safe borders, a sound economy, and a strong military. Yet, despite these objectives, both Netanyahu and Trump are being excoriated and vilified, and those who want them out seem determined to stop at nothing to achieve that objective. countries, and deal with another political fact of life. And that is that those who are not in power want to be in power, and it looks like they will resort to every possible theory or practice to get there. That might be the way in which the political system works, but that does not mean that the best interest of the people is being served. In Israel, the left wants Bibi gone for a wide variety of reasons. The main reason is that he is almost assured of having himself recorded in the history books as the most successful prime minister in the 70-year history of the Jewish state. A poll last week stated that the current criminal investigations notwithstanding, if elections were held in Israel this week, the Likud would most likely score an unprecedented number of their own seats in the Knesset—possibly as many as 40. So now let’s look at some of the silly or even dopey things Netanyahu may have done; if he is found guilty of any of these accusations, it will be unfortunate, but he will have to resign and move on. For 20 years, critics of the right have been coming after the prime minister with a ferociousness rarely seen even in Israeli politics. Brett Stephens in last week’s New York Times wrote that he believes Bibi will survive the current crisis and continue to lead Israel forward. Some of Netanyahu’s aides are entangled in a potential kickback scheme connected to Israel’s purchase of two German-manufactured submarines totaling about $2 billion. If Bibi was involved or got in the way of some of that money movement, that can be a shameful career-ending matter that would be the catalyst of his downfall. The other investigations into the way the prime minister has conducted himself are possibly damaging but not as overtly dangerous a scheme like that involving the submarines. One investigation revolves around gifts that the prime minister may have received from both wealthy American and Israeli friends. And the other involves a contorted idea where Mr. Netanyahu would help promote the daily newspaper Yediot Achronot at the expense of his good friend Sheldon Adelson’s daily free newspaper, Israel HaYom. The details of these investigations are one thing; the objective—that is, to push him to resign—is another matter. And interestingly enough, an identical scenario is playing itself out here in the United States. There has probably never been a more severely denigrated and criticized president than Donald Trump. Trump is an anomaly. He plods along as he goes searching for words to describe what he is thinking or feeling, often coming up short on articulation and sometimes having no choice but to describe what he is thinking the way a high-school student might. This makes many of us who are rooting for him feel frustrated and uncomfortable, but it is also important to note that even as he struggles as president, he is doing a great job. As we have stated often here when discussing this subject, it appears that the majority of the country loves the job President Trump is doing. The elites on the coasts and those who dominate the media have the unfortunate ability to express ideas and sentiments that are not accurately representative of how America feels. The Russian collusion issue is being intentionally distorted by the liberal media so as to create the false impression that with each additional or new indictment or case that is pled, Special Counsel Robert Mueller is tightening the criminal noose around Mr. Trump’s neck. This investigation into the idea that somehow the Trump campaign joined in some fashion with Russia to steal the election from Hillary Clinton is not closer to being proven than it was when this all started more than a year ago. As we all know, President Trump is the darling of the Orthodox Jewish community in the United States. 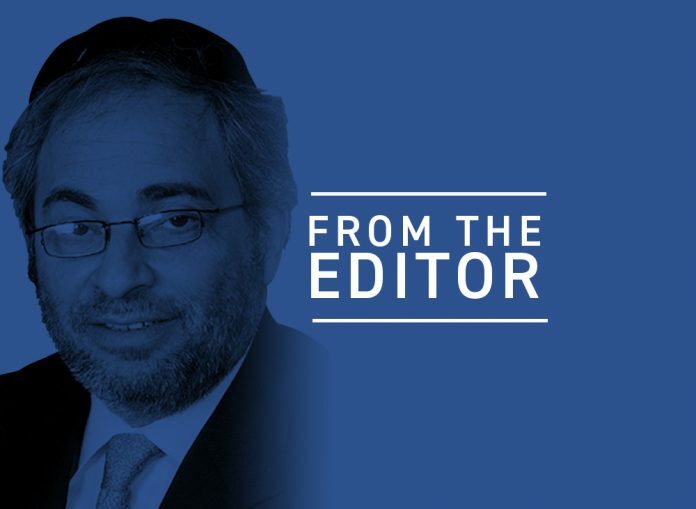 The reality is that we are a small minority of the overall American Jewish community, but it is also true that we are strategically located in parts of the country—like Pennsylvania, Ohio, and Wisconsin—where just a few thousand votes were able to determine the outcome of the electoral vote in a national election. The odd thing about all this is that the left political philosophies would do a great deal of damage to both the U.S. and Israel if somehow those majorities were to ultimately prevail. In Israel, the left is still defined by its commitment to a bankrupted two-state solution. Along with that impossible formulation comes the idea that in order to achieve this fantasy, Jerusalem needs to be divided or, at the very least, somehow become a city that is the capital of two countries. And this is precisely where Trump and Netanyahu so beautifully cross paths—on the Jerusalem issue. For decades, in this so-called negotiating process, even if negotiations were somehow successful, when it came to the issue of Jerusalem they would collapse, and whatever progress was made would be negated and erased. Then President Trump announced the recognition by the U.S. of Jerusalem as Israel’s capital. 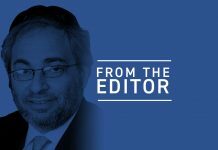 Most of the Arab world yawned, but the Palestinian leadership began scampering around the globe, stomping and protesting the move. The president in effect said that the Palestinians should be thanking him because he removed the most complex part of the process from the agenda, thereby facilitating the possibility of progress on many of the other issues. Unfortunately, Palestinian leadership does not view the matter that way. So the question is this: what does the left in both countries want? Do the Democrats in Washington want immigrants to continue streaming into the country freely and unchecked? Do they really want the U.S. military weakened at such a dangerous time around the world? Why are they fighting the president on tax cuts for most? Why are they protesting an economic environment that has the U.S. closer to full employment than ever before? In Israel, does anyone really want those who incentivize and reward terrorists and murderers of Jews to have an independent state in Israel’s heartland? Does the left in Israel really want illegal African immigrants to dominate and almost take over South Tel Aviv? We can only hope and pray that Bibi Netanyahu prevails and emerges successfully through his current legal crisis. And we can only have faith that Donald Trump adds to his popularity and that he continues to straighten out so much that was off-kilter with the U.S. as he heads into the midterm elections next fall. The political process will always have to deal with factions and opinions on the left and the right. But there really should not be so much space and legitimacy assigned to that which is obviously wrong and damaging for both the U.S. and Israel.